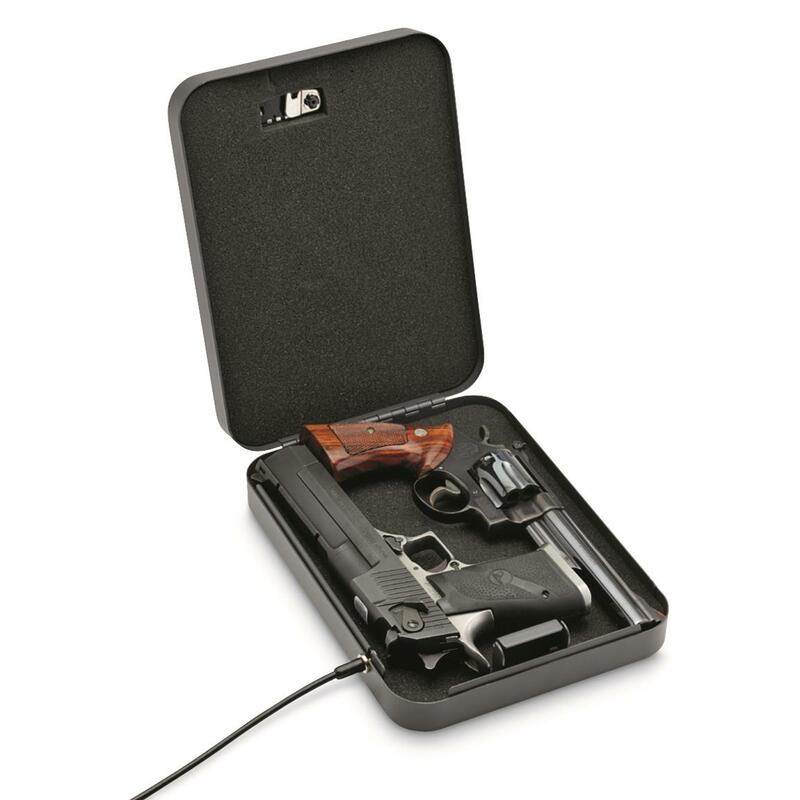 For at home storage or traveling abroad, this SnapSafe® XXL Lock Box will provide secure storage for your handgun or other valuables. It's made from thick 16-gauge steel, with a foam interior and 1,500-lb. rated steel security cable. Can be locked to any stationary object, car seat, or even the frame of your luggage. Includes two keys that are keyed alike. 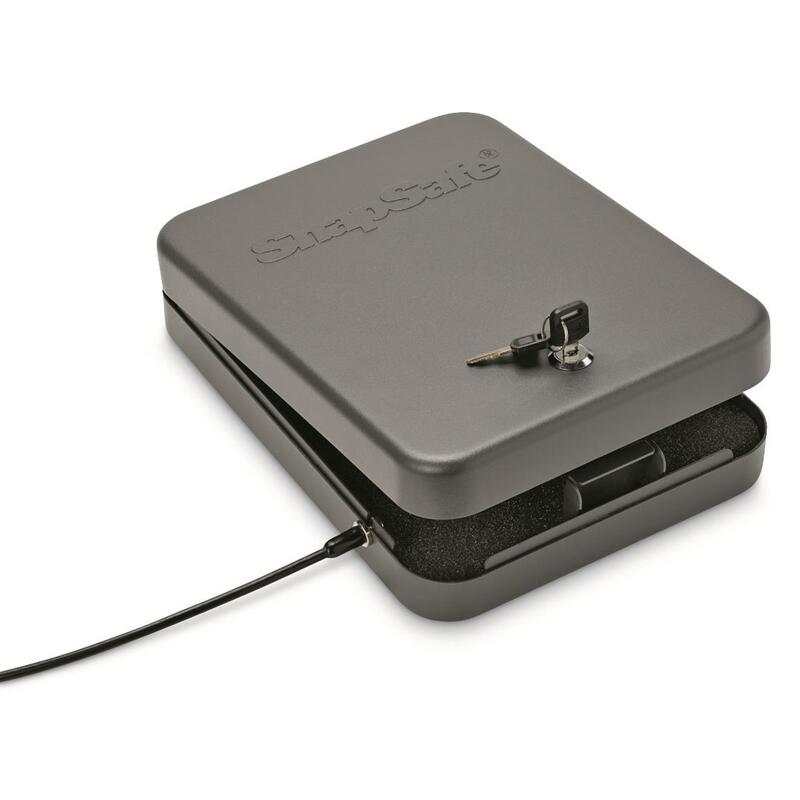 Dimensions: 11.5"l. x 8.5"w. x 2.5"h.
SnapSafe XXL Lock Box is rated 4.0 out of 5 by 1. Rated 4 out of 5 by HandyJames from Like it Nice lock box. Sturdy and cable is strong. Would like it better with combination lock instead of key. Key works fine, but I keep one in each of my vehicles so I have 4 keys to try to keep straight. Ordered XL with combination lock, but like XXL size better.